Disclaimer: I don’t have any advertising on my blog, and don’t get a kickback for anything I pimp out to readers. I just happen to love these items! 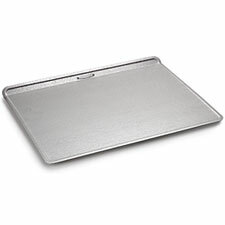 Doughmakers cookie sheets are my absolute favorite. The pebbled finish helps everything cook evenly. Unfortunately, they’re no longer made in the USA, and I’m not crazy about the ones available now. If you ever, EVER see these at a yard sale, grab ’em! 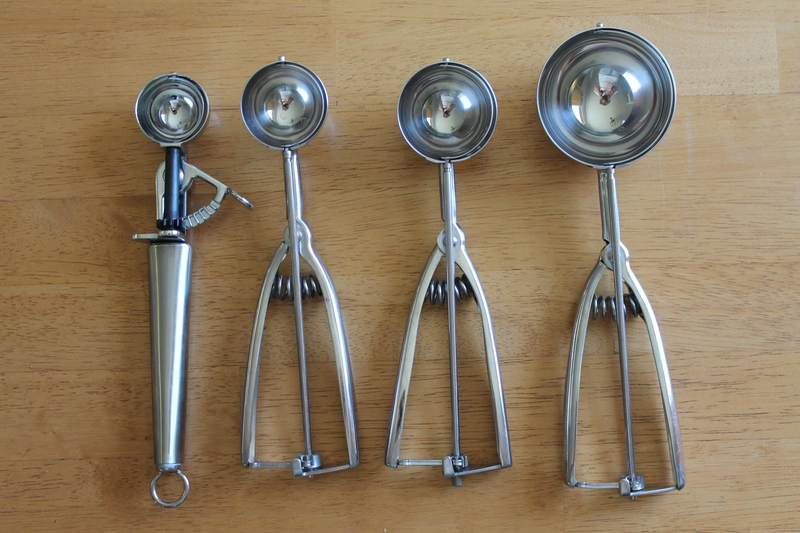 One can never have enough scoops (or “dishers”, if you prefer.) Believe it or not, the nice one on the left with the thumb trigger was bought at Walmart. You can read the measurement from above! 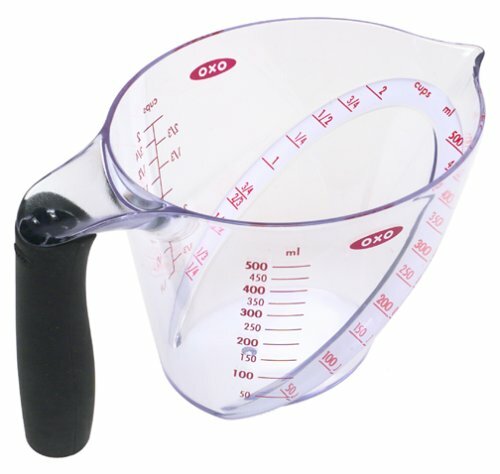 You will get an accurate liquid measurement with this cup, reading from the top. Pictured is an OXO brand. Pyrex has one you read from inside too, but it isn’t angled. This cup is just so easy to use! Bamboo spoons and spatulas rule! I love wooden spoons, but have broken many with my enthusiasm and sheer brute strength. Bamboo has saved the day! I have a set from Pampered Chef that I wouldn’t trade for anything, but you can find them just about anywhere. Bamboo spoons are much stronger than other wooden spoons.Try the spatulas, too. They’re great for white sauces or puddings, because they keep the bottom of the pan scraped clean. What a beauty this is! I got the 12″ model. This Vic Firth rolling pin is made from solid rock maple with stainless steel ball bearings. What an awesome weapon tool! I bought this one-piece hexagon cookie cutter to make honeycomb cookies, and discovered it’s amazing for biscuits. Fewer scraps, and as long as you press the cutter straight down and then lift it straight up, the biscuits will rise to the sky. You can find it on Amazon. Ateco makes this stainless steel beauty.